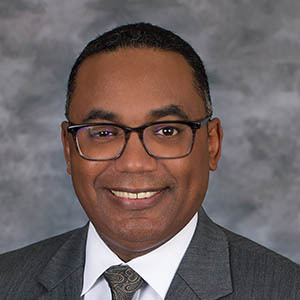 Eric LaBat is the Business to Business Marketing Leader for Seacoast Bank and an Adjunct Professor of Marketing at the University of Central Florida College of Business in Orlando. At Seacoast Bank, Eric is responsible for executing strategic marketing initiatives and driving organic growth across the firm’s Florida footprint. He is also responsible for collaborating with partners across the firm on third party consulting engagements related to customer acquisition, client deepening, benchmarking and emerging digital marketing trends. Eric recently served as a mentor with the Cherie Blair Foundation for Women and the Vital Voices Global Partnership for Women Entrepreneurs. He has also participated as a board Member of the Jacksonville Urban League. Prior to joining Seacoast, LaBat held key positions as Senior Vice President of Business Strategy and Sales Performance at Bank of America, Managing Director of Medical and Biological Sciences development at the University of Chicago, and Chief Marketing Officer at GE Capital Rail Services, serving multiple industries and lines of business. His career, spanning a combined 30 years in commercial banking, higher education philanthropy, commercial finance and supply chain and logistics, also includes functional expertise in business development, marketing, sales, strategic planning, data analytics, logistics management and client experience. LaBat holds an MBA from the University of Central Florida and a Bachelor of Arts degree in Journalism and Mass communication from Iowa State University. He also holds a logistics/supply chain management certification from Northwestern University.